The worlds of tax law and labour law are complex, ever-changing and closely intertwined. That means that South African organisations need to consider what legislation in each of these fields says about concepts such as remuneration, employees, and bonuses. In other words, your finance team needs to know something about labour law as it handles your taxes, while your human resources team needs to understand where labour and tax regulation intersect. We see this interaction at work when we determine who exactly should be treated as an employee by your organisation rather than as a contractor or an independent service provider. 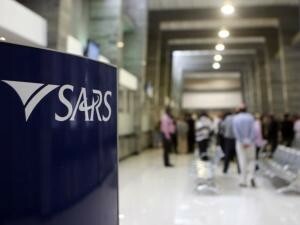 For its part, SARS has expanded the definition of an employee over the years in an effort to cast the PAYE (personal income tax) net wider. This has some important implications for how you manage your payroll. With that in mind, I’d like to break down how you should handle your relationships with personal service providers — Small & Medium Businesses that SARS effectively sees as disguised employees of your business — and labour brokers, who have come under more and more scrutiny in recent years. In days gone by, employees would resign and then continue to do the same job as before — except they would bill for their services through a company. Employees, especially those in higher tax brackets, could thus pay a lower company tax rate on their gross income and reduce their personal income tax bills. SARS clamped down on this practice through an amendment to the Income Tax Act in 2000 that essentially turned the company into an employee for PAYE purposes. If you have someone working for your company as a service provider, you must withhold PAYE tax at a rate of 28% if it is registered as a company and 41% of it is registered as a trust. Natural persons – in other words, an employee trading as a sole proprietor or a partnership. Service providers that provide all services to you through their employees other than directors and their spouses and relatives. Service providers which throughout the tax year of assessment have three or more full-time employees (other than shareholders, trust beneficiaries and their spouses and relatives). You would regard the person as an employee if he or she rendered the service directly rather than through a company or trust. The worker does most of his or her duties on your premises and under your supervision. The service provider earns 80%-plus of its annual income from any one of its clients. To overcome this last test, you should ask your service providers who may qualify as personal service providers to provide you with an annual affidavit or solemn declaration that they do not receive 80% of their service income from your business. You may rely on this declaration in good faith. In addition to withholding PAYE for a personal service provider, you must also produce a tax certificate using the same tax certificate reporting codes as used for normal employees. If the vehicle charges VAT, the remuneration will be the service fee value excluding VAT. You can, of course, can claim the input VAT back. SARS has also put labour brokers under increasing scrutiny. Now, it defines a labour broker as any natural person who provides clients with employees to render a service or procures other persons and provides them to a client. In each case, the client controls and supervises the workers provided by the labour broker. You pay a fee to the labour broker, who in turn pays the workers and makes all statutory payments on their behalf, including PAYE and SDL. If the labour broker is not in possession of an IRP30 tax exemption certificate, you must withhold PAYE and the Skills Development levy from the total fee you pay the labour broker. Carries on an independent trade. Is registered as a provisional taxpayer. Is registered as an employer for PAYE purposes. Is up to date with all its tax returns. More than 80% of its gross income is likely to consist of amounts received from any one client or associated institution, and there are less than four employees who are not connected persons in relation to the labour broker. The labour broker provides the services of any other labour broker to any of its clients. The labour broker is contractually obliged to provide a specified employee to render services to any client. Companies, close corporations or trusts that, prior to March 2009, were labour brokers are no longer labour brokers in terms of tax law, but remain Temporary Employment Services in terms of labour law. They must be paid through the creditors system rather than the payroll. For labour brokers, the PAYE you withhold should be calculated on the total fee according to the statutory tax table. Be careful that you carefully distinguish between labour brokers and personal service providers for tax reporting purposes. 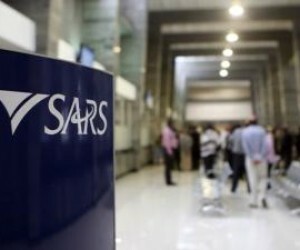 In general, SARS is trying to capture PAYE tax at the source from as many people your business works with as possible, including some labour brokers, personal service providers and some contractors. Its philosophy is to capture tax now and refund later if necessary. Be aware that people not regarded as employees in labour law, such as some independent contractors, are not necessarily independent contractors in terms of tax law. As the global market leader of integrated accounting, payroll and payment systems, we have become an indispensable business partner to the country’s Small & Medium Businesses. For us, this isn’t just about providing use the smartest technology to reinvent and simplify business accounting and payroll, but also helping clients to navigate the tax and legal environment. That’s why we present our labour and tax law seminars to help entrepreneurs make sense of an increasingly complex landscape.